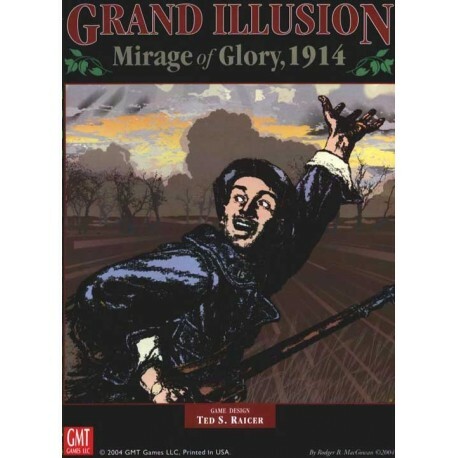 In 1914 the great European powers cherished the grand illusion that the "next war" would be short and relatively bloodless. Given the vast increases in army size and the lethality of machine guns and rapid-fire artillery, realistically, nothing could have prevented the horrific loss of life. But what of a short, decisive victory - was that out of reach? 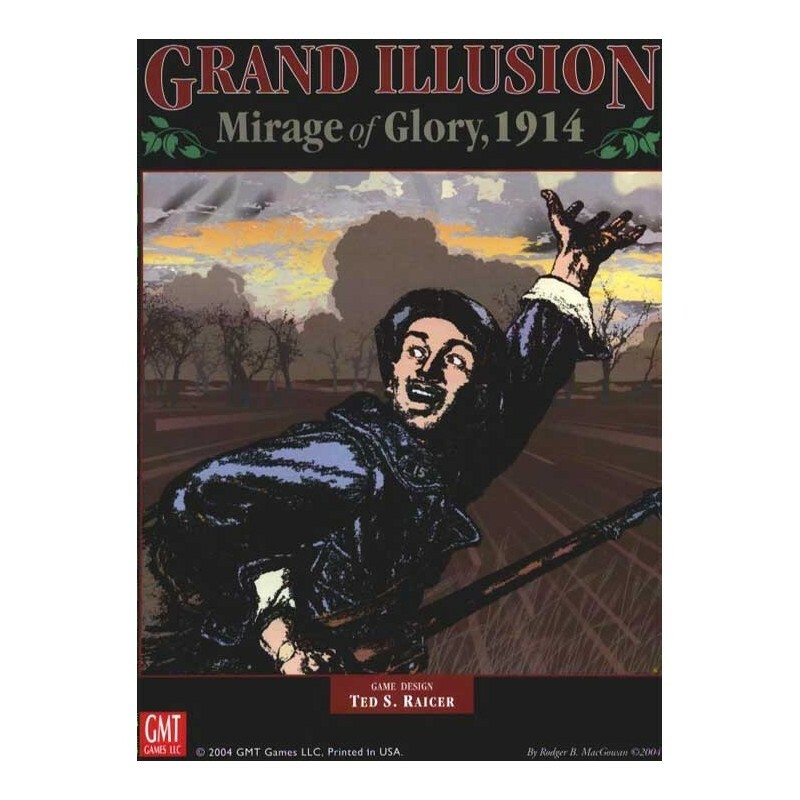 Grand Illusion is a simulation of the opening campaigns of WWI in the west. The German Schlieffen Plan called for a gigantic scythe through neutral Belgium into Northwest France, to envelop Paris and the French armies from the west, and was designed to end the war in one blow. It failed, and was followed by the Race to the Sea in which the Allied armies and the German forces made repeated attempts to outflank one another, until halted by arrival at the English Channel. As both sides dug in, a last German attempt to break through the British lines at Ypres was narrowly repulsed, and the war settled into a trench stalemate not to be broken for another four years. Can you avoid the bloddy deadlock of 1914 and beyond?